As with every year, we had some great deals available for the boats actually at the show. These are mostly all sold now, but some great bargains are still in stock waiting to be had. It's always worth a look through our stock search to see what's left! In June 2018, Algarve Boat Sales will be exhibiting at the Vilamoura International Boat Show, once again showing off the Bryant and Brig ranges in the stunning setting of Marina de Vilamoura in the Algarve. As usual this promises to be a stunning week with demos available on the water of Brig Inflatables (tenders and bigger boats) and some new Bryant models. Again - there could be some very special deals available so be sure to come and visit! 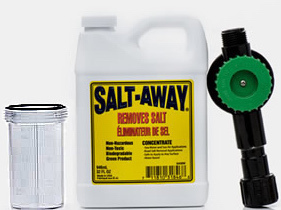 Salt-Away is a must have product for anyone operating a boat in a salt water environment. It can be used to flush engines, wash equipment, spray off boats, really anywhere that you need to stop the halmful salt water causing damage. You can buy Salt-Away products at our webshop. 2018 Season brings two great additions to the market leading Eagle range of rigid inflatable boats from Brig. The Eagle 6 adds a great new 6m boat into the middle of the range with updated styling and a great new hull design. At the top end the incredible Brig Eagle 10 brings a 10m powerhouse to the family offering all the space, performance and comfort you've ever wanted combined with the unparalleled safety and ride advantages of the rigid inflatable. Once again Brig are leading the way with these two great models. The world is hooked on surfing... wake surfing to be precise. As it happens, Bryant are way ahead of the trend, as always, and offer one of the best surf packs to add to a number of boats in the range. The pack incorporates the award winning forward facing drive from Volvo that keeps the wake beautifully clean and has the benefit of tucking the propeller safely under the hull of the boat - a long way away from even the longest surfing legs. Add to this the ballast, surf tabs and speed control system and the package is complete. The 2018 model lines continue to bring interior quality, tech and styling improvements and the 2018 range also feature updating of the external colour lines. Added to the options this year are an extending of the surf package to more of the range, more interior options and we now also see many interior and exterior options included as standard spec' on some models. Check out out current new and used stock. 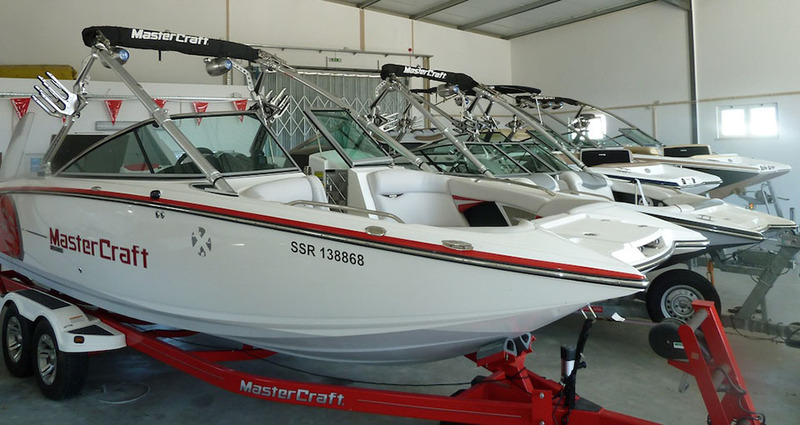 Some of the best boats we have for sale are featured below but use our search to check the whole stock. 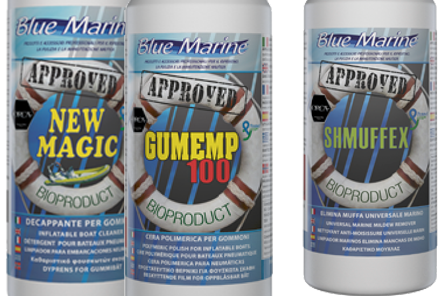 Blue Marine products are known throughout Europe for their cleaning and marine protection products. Algarve Boat has brought this amazing products to Portugal so you can get hold of them easily from our shop. You can buy Blue Marine products at our webshop.